Peer-to-peer connectivity requires compatible applications, which can be downloaded from the App Store when available. 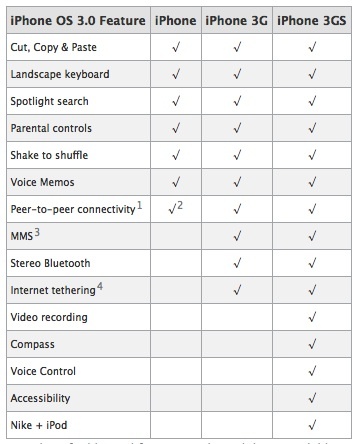 The original iPhone does not support using Bluetooth for peer-to-peer connectivity. It can use Wi-Fi and cellular data networks for peer-to-peer connectivity. MMS is not available in all areas; fees may apply. See your carrier for availability. Internet tethering is not currently offered in the United States and some other countries. See your carrier for availability. via iPhone: Which iPhone 3.0 software features does my iPhone support?.